As part of an ongoing multi-billion Dollar expansion and modernisation project, the Royal Saudi Navy have approved the upgrade of infrastructure support centres at the naval base in Jubail. One of the selected investments for this year, was the acquisition of advanced PCB diagnostic systems for the maintenance of new and existing electronics and telecommunication equipment. Following a detailed evaluation of solutions available from different manufacturers, ABI was chosen to supply 2x BoardMaster Custom Solutions including 2x VPS (Variable Power Supply) plus a complete RevEng Cabinet System for schematic generation. 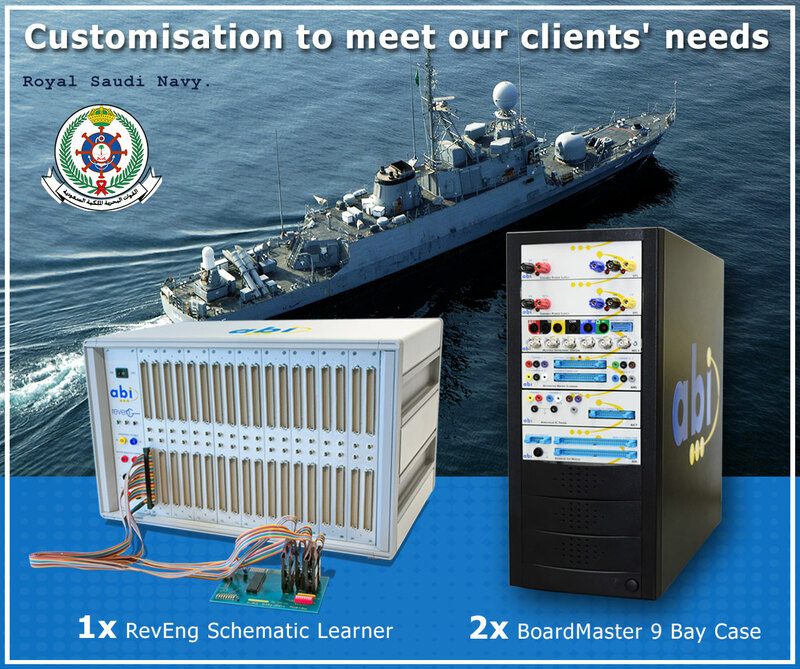 The great flexibility and fault coverage of ABI’s BoardMaster Range, as well as RevEng’s unique schematic generation capabilities, were highly commended by the Royal Saudi Navy commanders who opted to award this important contract to ABI.